I had a pretty active weekend. 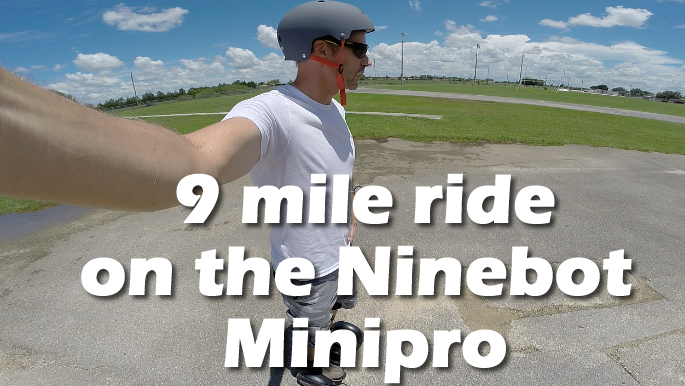 It included a prolonged Ninebot One training session on Saturday where I got a fresh round of bumps and bruises. 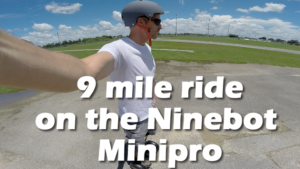 On Sunday I ran around 3.5 miles and then rode a total of almost 15 miles on my Ninebot Minipro, six of those miles with Cindy and nine solo. My bench press buddy is out of town for a couple weeks so I went at chest day alone, doing dumbbell flat bench chest press and decline barbell bench press. My strength today felt middle of the road at best. I was happy to see they are starting to get some new benches back in the free weight area of the gym. The decline bench I used today was brand new. I asked the manager if they planned to replace the bent barbells too. He said he uses them everyday and never noticed any were bent. I grabbed the first bar that was free and rolled it on the safety bars of the squat rack so he could see the wobble. He was surprised by my demonstration. Depending on the severity of the bend and the amount of weight you have on the bar, it can be a problem ranging from annoying to downright disastrous if the bar suddenly spins under load due to it’s curved geometry.